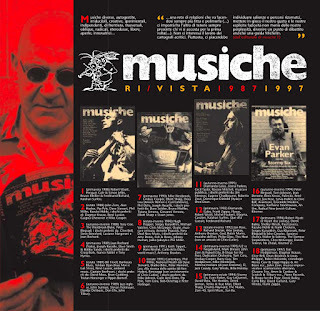 Dopo l'imprevista cancellazione dell'edizione dello scorso anno, riparte l'eccellente festival londinese di musiche improvvisate Freedom of the City, diretto da Evan Parker e da Eddie Prévost e gestito in larga parte direttamente dai musicisti che vi partecipano; il programma è concentrato in due giorni, il 3 e il 4 maggio prossimi, con una quindicina di concerti pomeridiani e serali, tutti presso la storica sede di Conway Hall, in Red Lion Square. 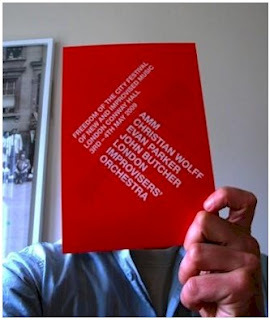 Freedom of the City is the UK's premier festival of new and improvised music, and one of the most important festivals of its kind in the world. Founded in 2001 by percussionist Eddie Prévost, saxophonist Evan Parker, and Emanem label boss Martin Davidson, Freedom of the City showcases the often overlooked excellence and diversity of new and improvised music in London. It has established itself as an annual event (with an unexpected and unwanted absence in 2008) which brings together the best of London's improvising community, with welcome guests from elsewhere. Their support is always at their own expense and is a remarkable show of solidarity. Freedom of the City is one of the few artist run music festivals, and the fact that it is organised by and for musicians means that music is its sole consideration, and it is not dressed up in flashy but ill fitting marketing conceits and fashionable concepts, as it is in some other festivals. What you hear at Freedom of the City is what the musicians want you to hear and nothing else. No special demands are made of them, no templates imposed, no rhetoric or theories foisted upon them - they are simply given a space in which they can be free as musicians and you, the audience, are invited to share that freedom with them. 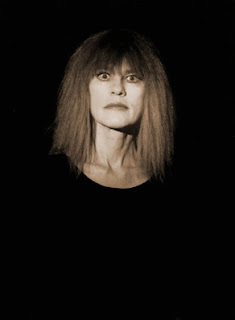 Carla Bley e Robert Wyatt saranno ospiti del concerto che Charlie Haden e Liberation Music Orchestra terranno per il festival londinese Meltdown, curato quest'anno da Ornette Coleman. 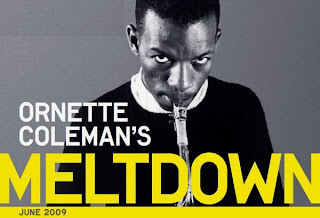 La data è quella del 20 giugno 2009; il programma - con i concerti di Moby, Yo La Tengo, Patti Smith, Yoko Ono/Plastic Ono Band, due rivisitazioni dal vivo di storici album di Coleman e altri ancora in via di definizione - si legge in http://meltdown.southbankcentre.co.uk, sito da cui iniziano domani le prenotazioni e le prevendite dei biglietti. 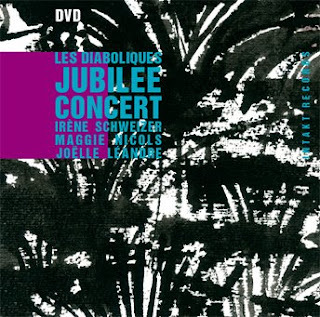 Da un concerto a Zurigo del 2006 è tratto il film di Jürg e Marianne Rufer, ora un dvd per Intakt, dedicato a Les Diaboliques, l''inossidabile' sodalizio umano e artistico tra tre delle più assidue protagoniste delle musiche improvvisate in Europa: Irene Schweizer, Maggie Nicols e Joëlle Léandre. 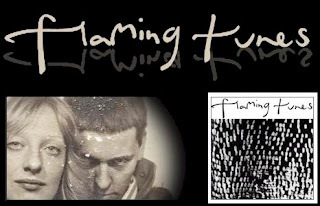 Flaming Tunes was a collaboration between Mary Currie and Gareth Williams, and was originally released on cassette in 1985. The album was recorded after Gareth left This Heat in the early 1980’s and returned from the first of several trips to India. Except for its initial release there has been no official edition of FT, although a bootleg CD from the late 1990’s included the tape in its entirety. It was misleadingly described as "This Heat’s final demo recordings" which was a great cause of annoyance to Gareth. He considered the Tunes album a deliberate attempt to create a music with a different mood and texture to the often harsh and uncompromising This Heat recordings, whilst giving full reign to his eclectic tastes and distinctive musical stylings. 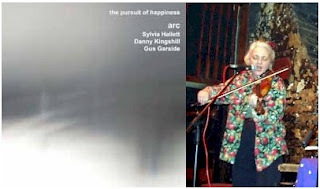 A quindici anni dalla loro precedente pubblicazione vede la luce un nuovo album del trio Arc, di cui sono parte Sylvia Hallett, Danny Kingshill e Gus Garside: si intitola The Pursuit of Happiness ed esce per l'etichetta Emanem. Steve Reich ha vinto il premio Pulitzer 2009 nella categoria 'Musica' con la composizione Double Sextet, del 2007, commissionata e successivamente eseguita dall'ensemble Eighth Blackbird: "a major work that displays an ability to channel an initial burst of energy into a large-scale musical event, built with masterful control and consistently intriguing to the ear". Steve Reich’s Double Sextet – commissioned by eighth blackbird and given its first performances by the group last season – has won the 2009 Pulitzer Prize for Music. The prize is awarded for a distinguished musical composition, written by an American and first performed or recorded in the U.S. over the previous year, and this is the second time an eighth blackbird commission has been nominated (Stephen Hartke’s Meanwhile received a nod last year). Scored for two identical sextets each comprising flute, clarinet, violin, cello, vibraphone, and piano, Double Sextet can either be played by six musicians against a recording of themselves, or by an ensemble of twelve. 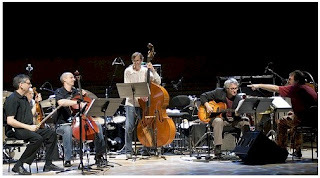 For both the world premiere, on March 26, 2008 at the University of Richmond, Virginia, and the New York premiere, at Carnegie’s Zankel Hall on April 17, 2008, eighth blackbird performed simultaneously live and pre-recorded; a few months later, the Grammy-winning group collaborated with six students from the Oberlin Contemporary Music Ensemble to perform the work completely live at New York’s downtown new music venue The Kitchen. “I’m very glad that this particular piece got [the award], because I do think it’s one of the better pieces I’ve done in the past few years,” Steve Reich says of Double Sextet, which, by juxtaposing live and taped musicians, recalls several of his compositions in the “Counterpoint” series, as well as his ensemble pieces Different Trains and Triple Quartet. 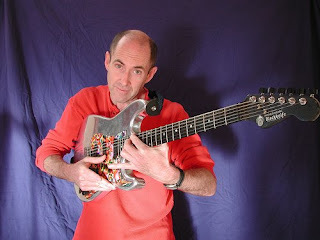 A Henry Kaiser e alla sua fruttuosa collaborazione antartica con Werner Herzog sono dedicati copertina e articolo di apertura del numero di aprile 2009 di Point of Departure, con interessanti considerazioni circa analogie e reciproche influenze tra esplorazioni ambientali e musicali, compiute in condizioni più o meno estreme. 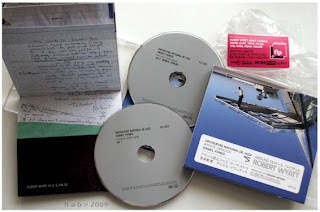 Un'ampia sezione degli extra del dvd di Encounters at the End of the World - che si avvale delle musiche di Kaiser in duo con David Lindley - è riservato a Below the Ice, con riprese subacquee effettuate dallo stesso Kaiser e un suo commento sonoro prodotto in solitudine. E sempre a proposito di soluzioni di carattere 'estremo', è da sentire il nuovo album di Kaiser in trio con Damon Smith e Weasel Walter, elettrico e furibondo ma presentato con ironia, come fosse un postumo: Plane Crash, per ugEXPLODE Records. Esce ufficialmente domani l'album dedicato a Robert Wyatt allestito dall’Orchestre national de jazz e dal suo direttore artistico, Daniel Yvinec: si intitola Around Robert Wyatt ed esce per Abeille Musique in un'edizione di dieci brani - The Song, Alifib, Just As You Are, O Caroline, Kew.Rhone, Shipbuilding, Alliance, Vandalusia, Del Mondo e Te Recuerdo Amanda - cui si aggiunge, nella tiratura iniziale, un secondo cd con P L A, Gegenstand, Rangers In The Night e un'ulteriore versione di Just As You Are. Wyatt interpreta quattro brani - sei, se si conta il cd aggiuntivo - e tutti gli arrangiamenti orchestrali han preso il via direttamente dalla sua voce registrata in solitudine: gli altri brani sono affidati al canto di Arno, Camille, Daniel Darc, Irene Jacob, Yael Naïm e Rokia Traore. Il programma sarà presto presentato dal vivo, con allestimento scenico di Antoine Carlier, in tre festival francesi: a Parigi, per il Festival Jazz à St-Germain-des-Prés (23 maggio), Dijon (2 luglio) e Sédières (26 luglio). Conçu autour d’une collaboration inédite entre Robert Wyatt et Daniel Yvinec, spécialement pour l’Orchestre national de jazz, ce programme plonge dans l'univers du chanteur à la personnalité protéiforme. Outre celle de Robert Wyatt, il invite à se joindre, autour d'un répertoire constitué de ses compositions mais également d'autres chansons qu’il a habitées avec bonheur, les voix d'artistes prestigieux qui offriront leur propre vision de son monde. L'idée est simple: partir du bijou pour confectionner l'écrin. Les voix ont été enregistrées en premier lieu, a cappella, dans la nudité et l'intimité d'une émotion palpable. Elles ont par la suite été habillées de somptueux arrangements orchestraux conçus en collaboration avec Vincent Artaud, talentueux explorateur de la confluence, utilisant ainsi les finesses de chaque inflexion comme source d'inspiration à une relecture profondément originale. Around Robert Wyatt nous permet donc de redécouvrir ces mélodies enchanteresses (Shipbuilding, Alifib…) révélant sous un jour nouveau, en le confrontant à la palette sonore unique de l'orchestre, l'univers de Robert Wyatt. Sur scène, le réalisateur Antoine Carlier élaborera une mise en image onirique et poétique, en résonance avec la musique comme avec l’identité de chacun des artistes associés et les musiciens de l’ONJ. 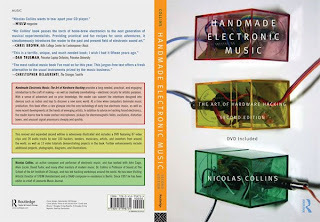 La riedizione del libro di Nicolas Collins Handmade Electronic Music – The Art of Hardware Hacking si arricchisce di un interessante dvd di ottanta minuti con istruzioni mirate alla realizzazione di circuiti elettronici di impiego (anche) musicale e contributi video da hackers di tutto il mondo: lo si ottiene attraverso il sito di CDEmusic http://www.cdemusic.org oppure richiedendolo allo stesso Collins, magari in occasione dei suoi frequenti concerti e laboratori di questo periodo. 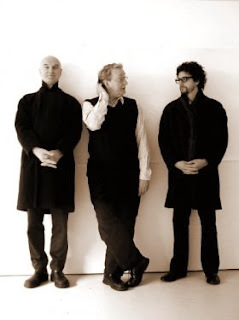 Felice esordio dal vivo ieri a Shoreham-by-Sea, nel West Sussex, di Three Friends, parziale ricomposizione dello storico gruppo Gentle Giant dopo l'adesione di Kerry Minnear al progetto, in precedenza denominato Rentle Giant, allestito dai vecchi amici Gary Green e Malcolm Mortimore. In scaletta i brani del miglior repertorio delle origini, dall'album di esordio del 1970 a Free Hand del 1975, alcuni dei quali mai eseguiti in concerto, nemmeno a suo tempo: Prologue, Playing The Game, The Advent of Panurge, Pantagruel's Nativity, Just The Same, Think Of Me With Kindness, The House The Street The Room, The Boys In The Band, His Last Voyage, In A Glass House, Mister Class & Quality, Three Friends, Free Hand, Giant, Peel The Paint. 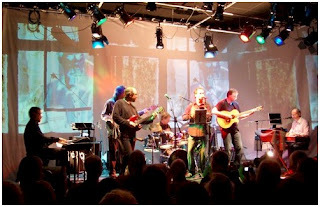 Il gruppo, ora un settetto con il ruolo di cantante principale affidato a Mick Wilson (10cc), ha in programma altri concerti nel Sussex nel fine settimana e successivamente a Gothenburg (Svezia). 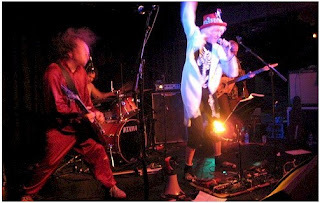 Tre concerti italiani per Daevid Allen e University of Errors, suo strepitoso quartetto con Michael Clare, Warren Huegal e Josh Pollock, alla vigilia della partecipazione al portoghese Gouveia Art Rock Festival: a Roma, Jailbreak Club (30 aprile), a Taranto, Nautilus Terrazza (1 maggio) e a Modena, Off Club (2 maggio). Allen tornerà in Italia a inizio giugno - a Fasano (Brindisi), il 5 - per inaugurare una nuova stagione dal vivo per la famiglia Gong, quest'anno con un'agenda di appuntamenti piena fino all'autunno e una formazione tirata a lustro (però senza Malherbe): Allen, Gilli Smyth, Steve Hillage, Miquette Giraudy, Mike Howlett, Theo Travis e Chris Taylor. 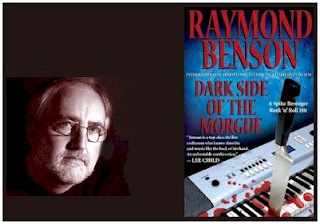 Il nuovo thriller tutto sesso, droghe e rock'n'roll scritto dal poliedrico Raymond Benson, Dark Side of the Morgue, vede l'investigatore privato Spike Berenger tentar di districarsi tra oscuri delitti e turpi attitudini nei meandri della scena musicale progressive di Chicago, caratterizzata dalle vicende e dalle complesse relazioni - degne di mappature alla Pete Frame - di gruppi e musicisti ispirati alla 'scuola di Canterbury'. Spiega l'autore: "Dark Side of the Morgue, like A Hard Day's Death, is another thrill ride that this time takes Spike and Suzanne to Chicago to investigate a series of murders involving musicians. These victims make up a long line of progressive rock acts that have been kicking around Chi-town since the 60s. Loosely inspired by the “Canterbury” school of progressive rock that began in England in the mid-sixties (e.g. 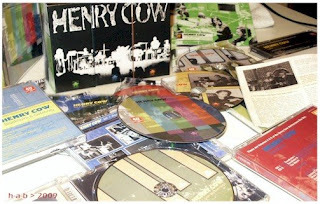 Soft Machine, Caravan, Gong, Hatfield and the North, Kevin Ayers, Robert Wyatt, etc. ), these “Chicago Prog Bands” are entirely fictitious. At the beginning of the book, readers will see a three-page family tree diagram. This was inspired by the work of Pete Frame, an artist who drew rock band family trees for various music publications in the UK, as well as publishing his own books of music family trees in the 70s. Any reader who appreciates the intricacies of rock genealogy, underground music, and prog rock in general will certainly get a nudge-nudge, wink-wink kick out of this book. Everyone else will no doubt simply enjoy the story and characters." In What's Rattlin'? 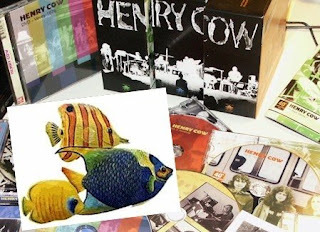 Benson annuncia inoltre un suo articolo su Henry Cow - in parte recensione del box d'anniversario e in parte retrospettiva, anche con commenti di Hodgkinson e Cutler - per il numero estivo della rivista Progression. The Rough Trade story begins more than thirty years ago on 20th February 1976. Britain was in the grip of an IRA bombing campaign; a future prime minister was beginning to make her mark on middle England, where punk was yet to run amok; and a young Cambridge graduate called Geoff Travis opened a new shop at 202 Kensington Park Road, just off Ladbroke Grove in West London. The Rough Trade shop sold obscure and challenging records by bands like American art-rockers Pere Ubu, offering an alternative to the middle-of-the-road rock music that dominated the music business. In January 1977, when a record by Manchester punk band Buzzcocks appeared in the shop, Rough Trade found itself in the right place at the right time to make an impact far beyond that of a neighbourhood music store. When Spiral Scratch was released in 1977, the idea of putting out a single without the support of an established record company was incredible. But Rough Trade was to become the headquarters of a revolt against this corporate monopoly - it was stocking records by bands inspired by the idea that they could do it themselves. But selling a few independent records over the counter was not going to change the world. Early independent labels had to hand over their distribution to the likes of EMI or CBS. But one man at Rough Trade challenged that monopoly. Richard Scott joined Rough Trade in 1977 and became the architect of a grand scheme that was nothing short of revolutionary: independent nationwide distribution. 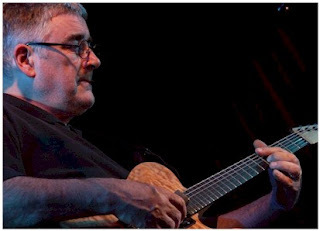 Si è tenuto ieri pomeriggio al Mills College di Oakland - nel quadro dei festeggiamenti per la riapertura di una storica sala da concerti nel celebre college californiano - il concerto di compleanno in onore di Fred Frith, sessant'anni compiuti lo scorso febbraio e da dieci professore al Mills. 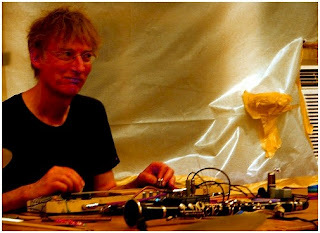 In programma incontri di improvvisazione e diverse composizioni di Frith eseguite da Liz Albee, Matthias Bossi, Minna Choi, Beth Custer, Joan Jeanrenaud, Carla Kihlstedt, Myra Melford, Roscoe Mitchell, Ikue Mori, Larry Ochs, Bob Ostertag, Zeena Parkins e William Winant, con finale 'rockettaro' servito dal gruppo Cosa Brava. Per Curva Minore a Palermo Tim Hodgkinson tiene un seminario di improvvisazione e varie pratiche musicali dal 20 al 24 aprile 2009, con un concerto conclusivo il 24 presso l'Auditorium I Candelai. 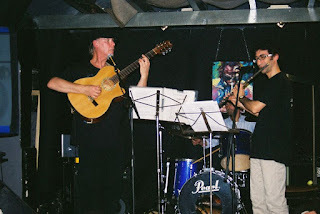 Qualche giorno prima, il 17, è in programma anche un concerto di K-Space (Hodgkinson con Ken Hyder e Gendos Chamzyryn) al Museo Internazionale delle Marionette A. Pasqualino, sempre a Palermo. Richard Sinclair, tuttora in pieno spirito 'Taranterbury', compie prossimamente alcuni concerti italiani con i collaboratori degli anni più recenti: Gianluca Milanese, Antonio Cascarano e Angelo Losasso tra gli altri. A Lecce e Taranto il 9 e 12 aprile prossimi, a Roma e Modena il 21 e 22 maggio. 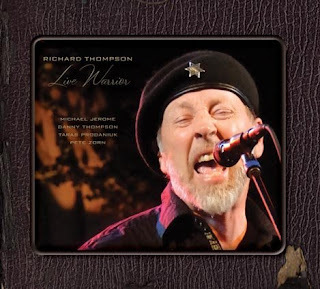 Festeggia oggi sessant'anni Richard Thompson, mentre si annuncia l'uscita tra pochi giorni di un nuovo album dal vivo, Live Warrior, tratto dai concerti che accompagnarono l'uscita di Sweet Warrior un paio d'anni fa. A giugno vedrà la luce un suo nuovo ciclo di canzoni, intitolato 'Cabaret of Souls', in un concerto di particolare rilievo cui il chitarrista e cantante invita a contribuire. Anche in quell'occasione sarà con lui, (quasi) inseparabile, il grande Danny Thompson, che di anni ne compie domani settanta. Auguri! Risonanze Spring 2009 presenta per la prima volta in concerto in Italia il trio di Steve Beresford, Roger Turner e Joe Williamson The Wardrobe Trio, di cui è prossimo un album su etichetta Intakt. A Venezia, al Teatro Fondamenta Nuove, il prossimo 9 aprile alle ore 21.00.